A galaxy-spanning adventure awaits in Star Wars Jedi: Fallen Order, a third-person action-adventure title from Respawn Entertainment. This narratively-driven single player game puts you in the role of a Jedi Padawan who narrowly escaped the purge of Order 66 following the events of Star Wars: Episode III - Revenge of the Sith. On a quest to rebuild the Jedi Order, you must pick up the pieces of your shattered past to complete your training, develop new powerful Force abilities, and master the art of the iconic lightsaber - all while staying one step ahead of the Empire and its deadly Inquisitors. 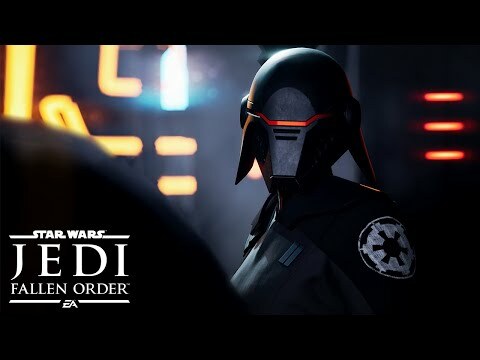 The upcoming Star Wars Jedi: Fallen Order PS4 release date is November 15, 2019 in the US and the UK. Notify me when Star Wars Jedi: Fallen Order PS4 is available. Here's What You Missed From EA's Play Event!